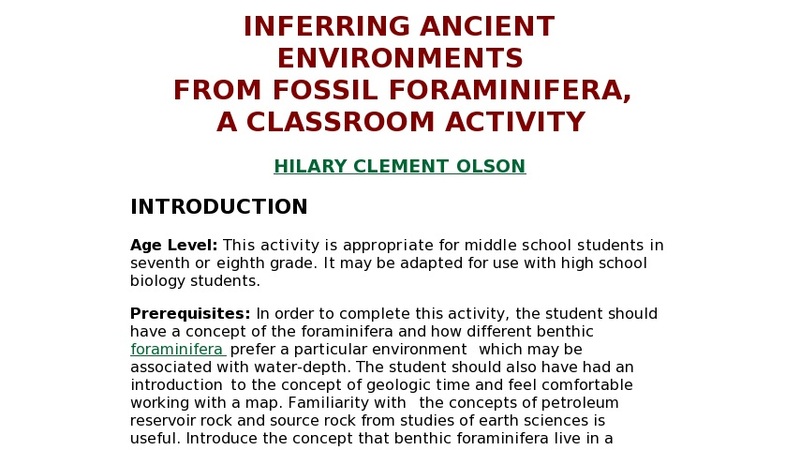 This student activity demonstrates how foraminifera can be used to infer ancient environments. It contains background information and the classroom activity, which includes instructions and the required charts and diagrams. Also included are references and active links for further study as well as suggestions for a follow-up activity.